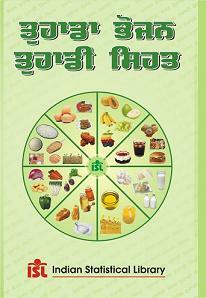 This is a Village Directory of Punjab. 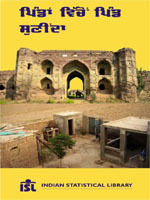 The book provides information about each village (around 12700 villages), including details like population, area of villag, nearest railway station, link road and distance from link road etc. This book is useful for general information and very helpful for marketing purpose. 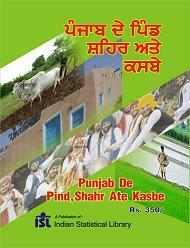 This book is in Punjabi, with name of each village given in both Punjabi and English. To order this book, call 98761-32211. 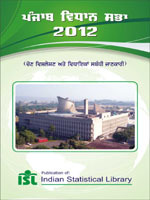 This book contains information about all the electoral constituencies in Punjab. 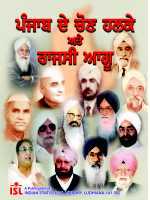 It also contains brief details about the elected M.L.A.s, M.P.s in the history of Punjab. It also throws some light on the Political Families of Punjab. ਪੰਜਾਬ ਦੇ ਚੋਣ ਹਲਕੇ ਅਤੇ ਰਾਜਸੀ ਆਗੂ ਇਸ ਪੁਸਤਕ ਵਿੱਚ ਨਵੀਂ ਹੱਦਬੰਦੀ ਅਨੁਸਾਰ ਪੰਜਾਬ ਦੇ ਵਿਧਾਨ ਸਭਾ ਹਲਕਿਆਂ ਵਿੱਚ ਸ਼ਾਮਲ ਪਿੰਡਾਂ ਅਤੇ ਸ਼ਹਿਰੀ ਇਲਾਕਿਆਂ ਦੀ ਜਾਣਕਾਰੀ ਦਿੱਤੀ ਗਈ ਹੈ। ਪੰਜਾਬ ਦੀਆਂ ਹੋਈਆਂ ਹੁਣ ਤਕ ਦੀਆਂ ਵਿਧਾਨ ਸਭਾ ਚੋਣਾਂ ਦਾ ਸੰਖੇਪ ਵੇਰਵਾ ਅਤੇ ਹਰ ਹਲਕੇ ਦਾ ਚੋਣ ਇਤਿਹਾਸ ਦਿੱਤਾ ਗਿਆ ਹੈ। ਪੰਜਾਬ ਦੇ ਹੁਣ ਤਕ ਬਣੇ ਪੰਦਰਾਂ ਮੁੱਖ ਮੰਤਰੀਆਂ ਬਾਰੇ ਸੰਖੇਪ ਜਾਣਕਾਰੀ ਤੋਂ ਇਲਾਵਾ ਪੰਜਾਹ ਤੋਂ ਵੱਧ ਅਜਿਹੇ ਸਿਆਸੀ ਪਰਿਵਾਰਾਂ ਦਾ ਵੇਰਵਾ ਹੈ, ਜਿਨ੍ਹਾਂ ਦੇ ਦੋ ਜਾਂ ਦੋ ਤੋਂ ਵੱਧ ਮੈਂਬਰ ਵਿਧਾਨ ਸਭਾ ਜਾਂ ਲੋਕ ਸਭਾ ਦੀ ਮੈਂਬਰੀ ਪ੍ਰਾਪਤ ਕਰਨ ਵਿੱਚ ਕਾਮਯਾਬ ਹੋਏ ਹਨ। ਪੰਜਾਬ ਦੇ ਹੁਣ ਤਕ ਦੇ ਬਣੇ ਵਿਧਾਨ ਸਭਾ ਅਤੇ ਲੋਕ ਸਭਾ ਮੈਂਬਰਾਂ ਦੀ ਜਨਮ ਤਰੀਕ, ਜਨਮ ਸਥਾਨ, ਪਿਤਾ ਦਾ ਨਾਂ ਅਤੇ ਜਿੱਤੀਆਂ ਹੋਈਆਂ ਚੋਣਾਂ ਦਾ ਵੇਰਵਾ ਇਸ ਪੁਸਤਕ ਨੂੰ ਹੋਰ ਜਾਣਕਾਰੀ ਭਰਪੂਰ ਅਤੇ ਰੋਚਕ ਬਣਾਉਂਦਾ ਹੈ। ਇਸ ਕਿਸਮ ਦੀ ਜਾਣਕਾਰੀ ਮੁਹਈਆ ਕਰਵਾਉਣ ਵਾਲੀ ਇਹ ਪੰਜਾਬੀ ਦੀ ਇੱਕੋ-ਇੱਕ ਕਿਤਾਬ ਹੈ। ਸਫੇ 320 To order this book, call 98761-32211. Punjab is a historical place. It is many thousand years old, older then Ramayana and Mahabharata. There are many religious, historical and cultural places in Punjab worth visiting. Even the small villages of Punjab have much value because of their historical background. More than 1000 such villages have been given in the present book, that have some relation to some historical event or some historical place or some great personality. Famous Punjabi Boliyaan on names of villages have also been given. The book starts with March 2012 elections. It gives details like the winning candidate & the constituency from which he has won, the party to which he belongs & the difference of votes by which he has won. It also introduces some new & interesting facts, like few made by the Punjab Chief Minister S. Parkash Singh Badal, the Golden Jubilee Politician. The details like D.O.B, Place of Birth, Address & Phone Numbers of MLAs have also been given.